Redesigning your website or migrating your website to a new platform is something that every established business is going to have to deal with at some point. The capabilities of what can be accomplished with a website grow every year and it’s highly likely that your competitors are upgrading their sites to provide a more professional appearance, a better user experience, and to better drive conversions through paid and organic channels. Have you ever walked into an office that’s clearly outdated and not well kept? How about a store where merchandise is all over the place and nobody offers to assist you? Your website works in the same way. People are not going to want to work with someone who doesn’t maintain a professional appearance and they’re not going to shop on a site where they can’t find what they need. These types of considerations are typically what drives the decision for a site redesign or migration to a new platform, and rightfully so. You’re going to have a hard time bringing in business with a bad looking website. But, there are a lot of technical things going on in the background that people fail to consider during the course of a site redesign or migration. Failure to plan properly can result in a serious decline in organic traffic, conversions, and keyword rankings, even if your new website looks great. If you’re undertaking a site migration, there’s a lot to be considered. 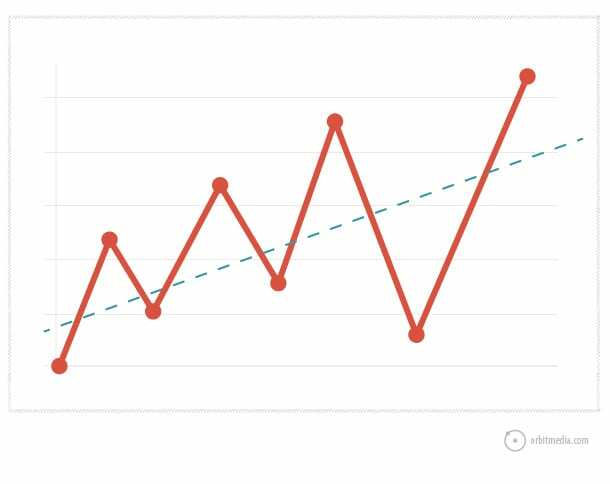 It’s impossible to measure the impact of changes to your website if you don’t have something to measure against. And traffic isn’t enough. Many times we have clients come to us with organic traffic reports – which is a great start, but doesn’t give you a complete picture of how the site is performing and how your users are interacting with it. Anything that drives sales, leads, or any other type of conversion needs to be well-documented before the change takes place. Goal values – what is the average value of each goal completed? The exact metrics you choose to use as a baseline for success will vary based on your business, but it’s key to remember – traffic doesn’t necessarily mean customers. Sometimes traffic will drop after a redesign – but if you’re getting the same amount of conversions, you’re getting higher quality traffic and filtering out the fluff. Often, when you’re redesigning your site, you’re going to be both adding and eliminating pages, categories, and content throughout the site. You’ll have an idea of what you want to remove and what you want to add, but cutting things out without consulting analytics programs can result in a serious dip in traffic and conversions. For SEO professionals, in an ideal world, we’d keep all URLs intact during a migration to maintain full link equity, but most of the time this just isn’t realistic. We can preserve some link value from removed pages through the use of a 301 redirect, but those redirects will never be as valuable as a direct inbound link. Inbound Links to Page is by far the most important consideration for determining if a page should be migrated or not. This breaks into two parts – quantity of links to the page, and the quality of those links.We usually start with looking at the overall quantity of inbound links to a page. If a page has a low amount of inbound links, we may want to consider removing that – but first, look at the quality of those links. If it’s only one link but it’s coming from a high-quality source – an industry journal, a university, a newspaper, etc. – then we want that link preserved. Traffic and Conversions are the next factors we look at and are also critically important. 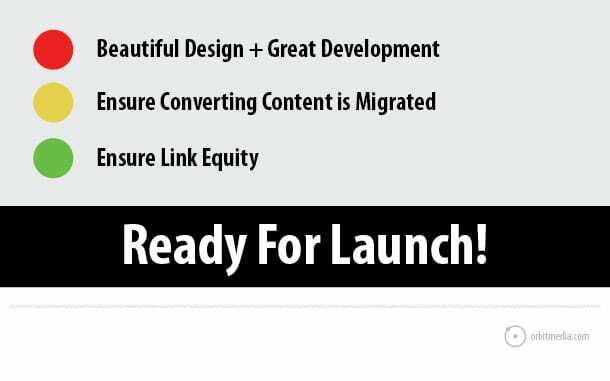 We have a little more flexibility here if we have content on a page which is attracting traffic and conversions but doesn’t have a large quantity of inbound links. We can take that piece of content and move it to a new page. But we definitely don’t want to remove it from the site.Many times during a site migration, decisions are made on opinion, rather than data. While you might think a page or a piece of content can be eliminated, you need to be able to back that up by looking at traffic and conversions through that page, as well as assisted conversions and goal paths through that page, to get the full picture of how that page or content is performing for you. Create a map of which pages are being migrated to the new site and how they fit into the navigation menus, where eliminated pages will be redirected to, and the content to be contained on each page as well as the keywords those pages are designed to target in organic search. This ensures you know exactly what is being migrated and what is being removed, which helps you better target your SEO efforts. There is no hard and fast rules for determining what will be migrated to the new site and what can be safely removed. But, if you need a rule to work with, think in terms of 5 – 5 inbound links, 5% of organic traffic, 5 goal conversions. Anything above this threshold we definitely want to keep, anything below can most likely be eliminated. Once you’re established a plan for migrating pages and maintaining all that lovely link equity along with the content which drives visits and conversions to your site, it’s time to consider some additional technical aspects of your new website. Responsive Design / Mobile Friendly Design has become a bigger ranking factor for Google and will only become bigger as smartphone and tablet usage becomes more prevalent. 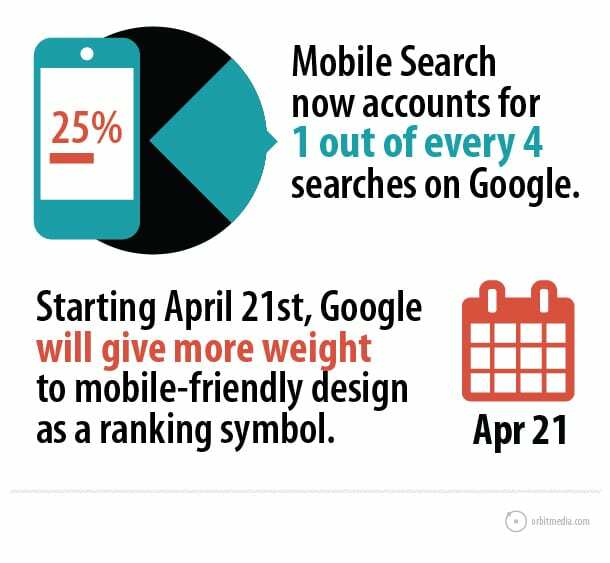 Google recently announced that starting April 21st they’ll be relying on mobile-friendly design even more for mobile search rankings. It’s highly recommended to ensure responsive design is a component of your site redesign plan. You can read more about the mobile algorithm update here. Site Speed falls into the same realm as responsive design – it’s already a factor for search engine rankings and with every update, Google places more and more importance into this area. Run a test before your redesign with a tool such as GTmetrix to understand what’s currently hindering site speed and ensure those issues are addressed during migration. On-Page Content is critical. For those not in the know, Google’s ‘Panda’ updates have targeted thin and duplicate content. Ensure that no two pages have the same content and ensure the main areas of your site – the homepage, main category / service pages, etc. – have approximately 400 words associated with that page. Content too similar or too thin on a given page? Either write unique, quality content or consider consolidating that page. Title Tags and Meta Descriptions should be concise and include relevant keywords. Your meta description is a two sentence call to action. These are the most basic of SEO tasks, but far too often go overlooked. Use a SERP simulator to test the appearance of title tags and meta descriptions before implementing to the page. And above all – make it relevant to your users. Google may not have opinions on the color palette you use, the exact brand messaging you use – but ultimately you’re doing this work to impress customers. Second chances are rare in a competitive internet marketplace. Make sure that first interaction with a potential customer is a great one by building a site that is helpful and filled with the information that matters to them. A site migration or redesign can be confusing and bring about plenty of worries – even more so when you begin considering the vast number of technical factors which affect organic search performance. The best things you can do are to research and prepare – and trust your team. You hired a developer and a designer for a reason – because they have expertise in making great looking websites that drive results. You hired your marketing team, be they your own employees or an agency, because they have the expertise in organic, paid, social, and earned media channels to get you the results you need. You are where you are in your industry because you understand your customers and you deliver value. It’s easy to get nervous during these changes, to start questioning every decision, to wonder if a site redesign is worth it. But having a great web presence is no longer an option – it’s required. And with the help of talented developers, designers, and marketing professionals, you’ll be able to make a site that looks great, delights your customers, and drive organic visitors and new customers into your sales funnel. If you have questions or concerns about your site redesign or migration, I’ve written an e-Book with more insights to help you out. Check it out here or leave a comment below! 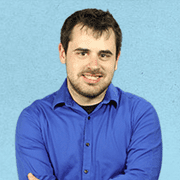 Barry Dyke is a SEO Analyst at Digital Third Coast, an SEO firm based in Chicago. Connect with Digital Third Coast Twitter or Google+.